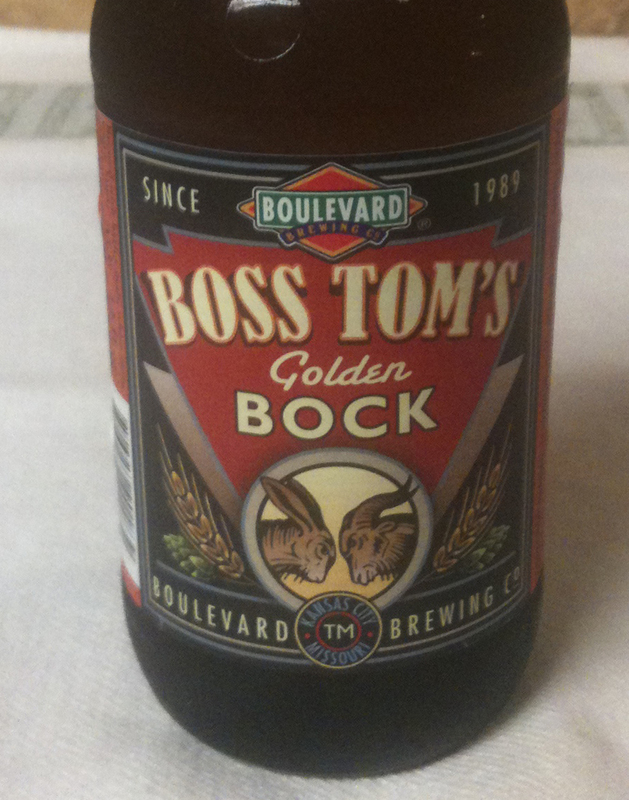 My sampling for today is Boss Tom's Golden Bock from Boulevard Brewing Company. This is a seasonal, available April through May. 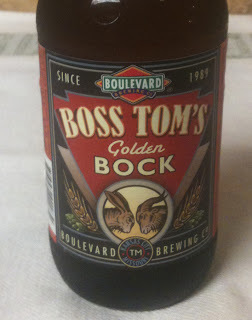 Their web site shows 6.1% ABV and 22 IBUs. Style is listed as a Maibock. This beer poured with a thin, off white head. 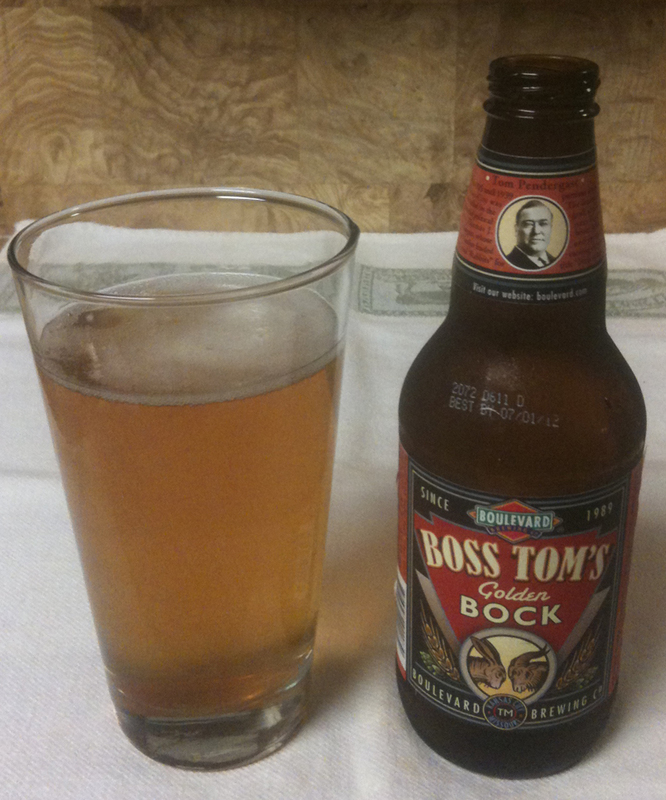 Beer color is a bright golden yellow, and there is a fair amount of sediment suspended in the beer. The aroma has a nice sweetness, almost honey-like. There is also a little yeast. Mild bodied. Bready malt in the taste, with some sweetness. There is a crisp fruitiness at the end that reminds me of an effervescent, grape-ish white wine. Very mild aftertaste of the overall beer.